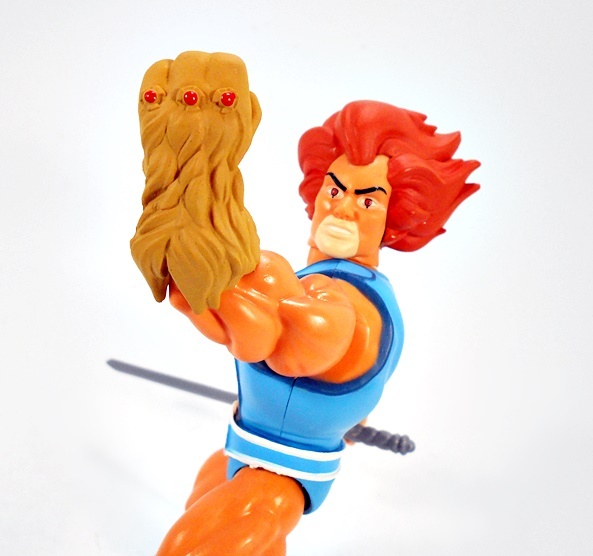 The ThunderCats have had a hard time catching a break. They got an amazing series reboot back in 2011, but it didn’t last. 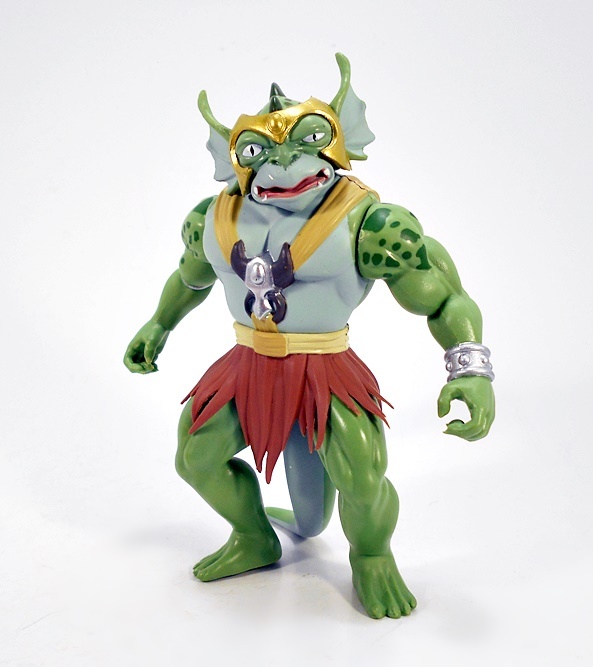 Ban Dai tried to re-launch figures based on the classic cartoon not once, but twice, each time only producing two figures. The license fell to Mattel and they only managed to get a handful of figures out before dropping the line. 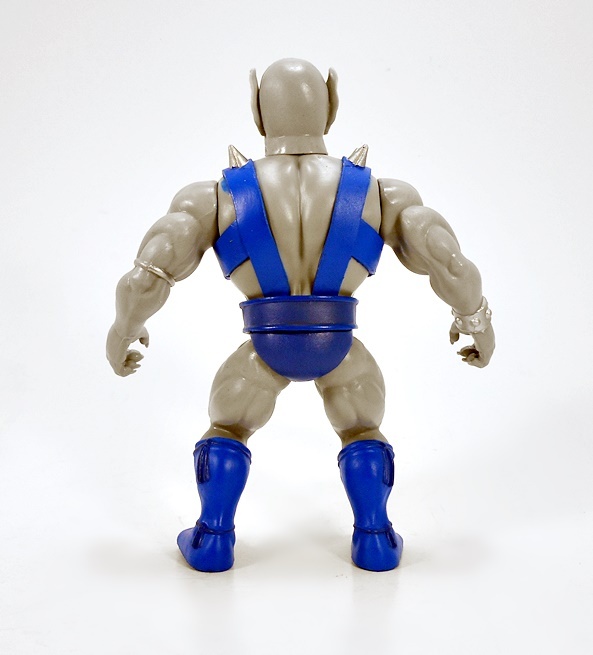 We all hoped Super7 would have picked it up along with the Masters of the Universe license, but that didn’t happen. Up until now, the only way to get a (sort of) complete team was Mezco’s excellent Mega-Scale figures. And now… it’s Funko’s turn! 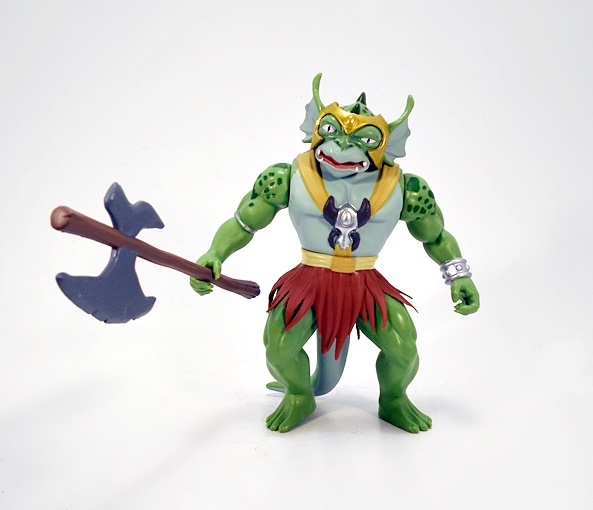 Savage World is Funko’s attempt to take popular licenses and merge them with the vintage He-Man action figure aesthetic. These haven’t been nearly as prolific as their Pop! Vinyls, but they’ve managed to do Mortal Kombat, 80’s Slashers, and even DC Comic Heroes as DC Primal Age. 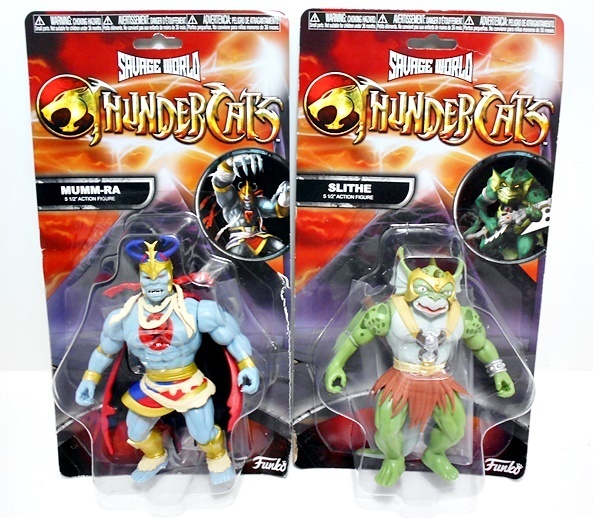 Of all of these so far, ThunderCats seems like the most likely candidate, and I was super excited to get these in hand when they were announced. But then the curse struck again. 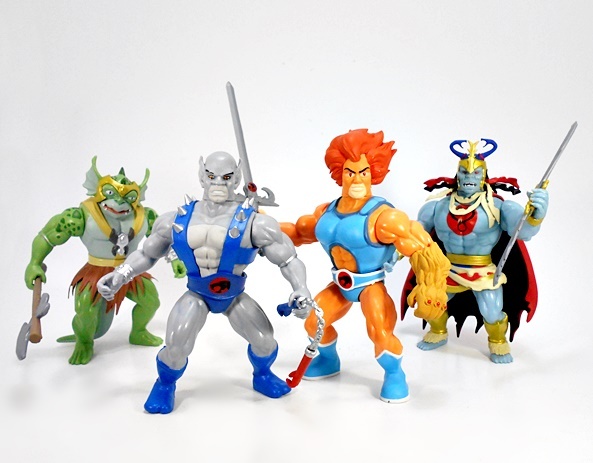 My pre-order filled for three of the four figures, with Panthro remaining in limbo. Weeks went by, I couldn’t find him anywhere, and it seemed like my pre-order was never going to fill. Eventually, I got tired of waiting and picked him up off of Ebay in order to get a complete set. 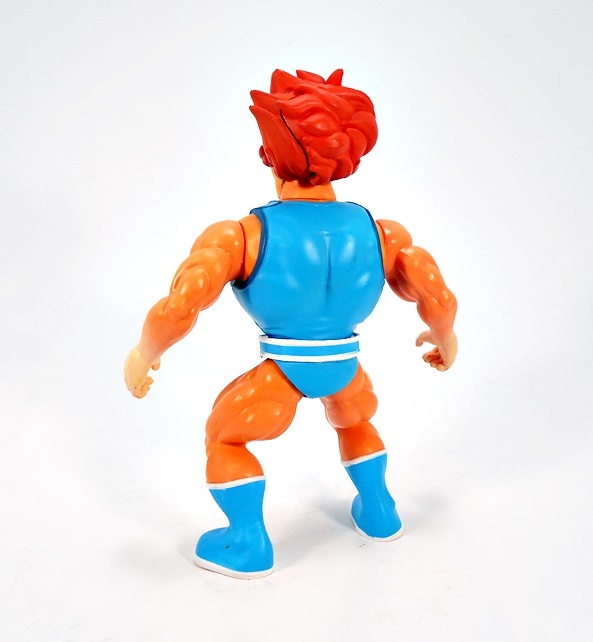 Lion-O is the one figure in this wave where the squat styling feels a little off to me. At first, I couldn’t figure out why, but I’ve decided it’s because his hair makes his head look big and thereby makes his body look extra squat. It didn’t take long for that to wear off and now I’m fine with it, because everything else about this figure is just spot-on wonderful. I’m especially happy with the way the coloring here came out. Sure, some of that white edging could have been sharper, but I’ve got to get in pretty close before it bothers me. Articulation on all of these figures is identical, which includes swivels in the neck, waist, and shoulders, and ball joints in the hips. 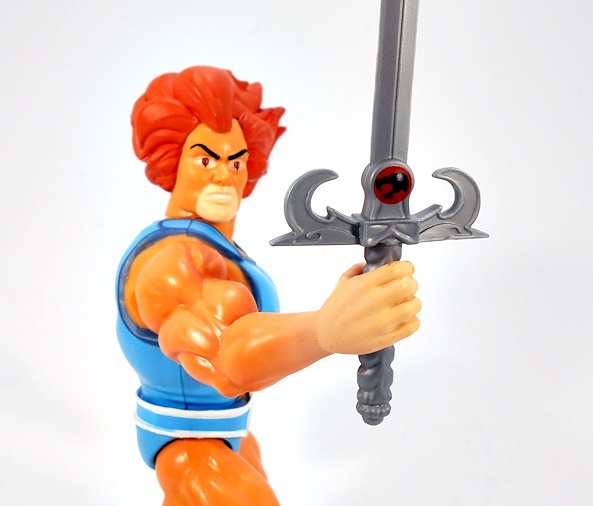 Lion-O comes with his two iconic accessories: The Claw Shield and The Sword of Omens. The Claw is a nice softer sculpt to make it actually look like fur and has the three grappels painted red on the knuckles. The Sword is a solid recreation of the iconic sword. It’s cast in gray plastic and has the Eye of Thundera painted on both sides near the crossguard. 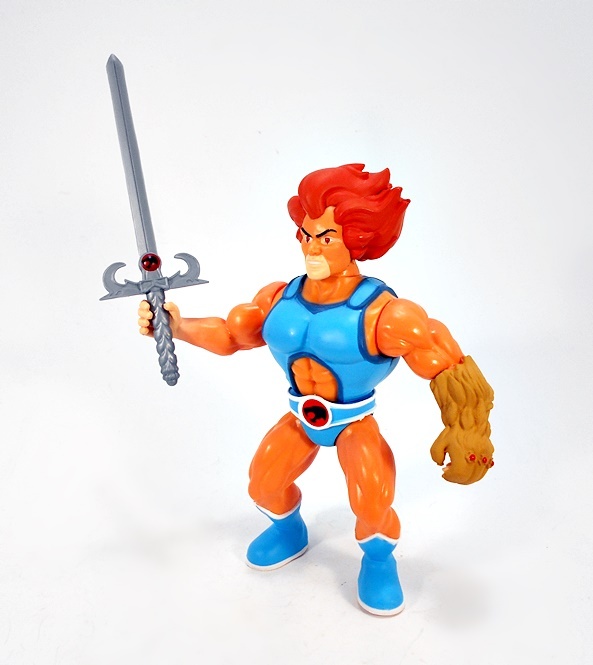 All in all, I’m really pleased with this MOTU-styled Lord of the Thundercats and he looks great posed with his accessories. 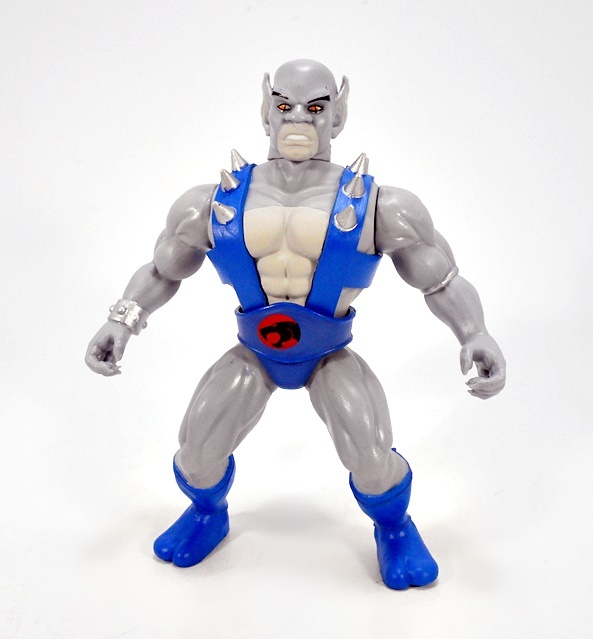 Panthro looked a lot more naturally to me right out of the gate, because he doesn’t have the whole big hair thing going on and I think this is a great representation of the character, stylized or not. 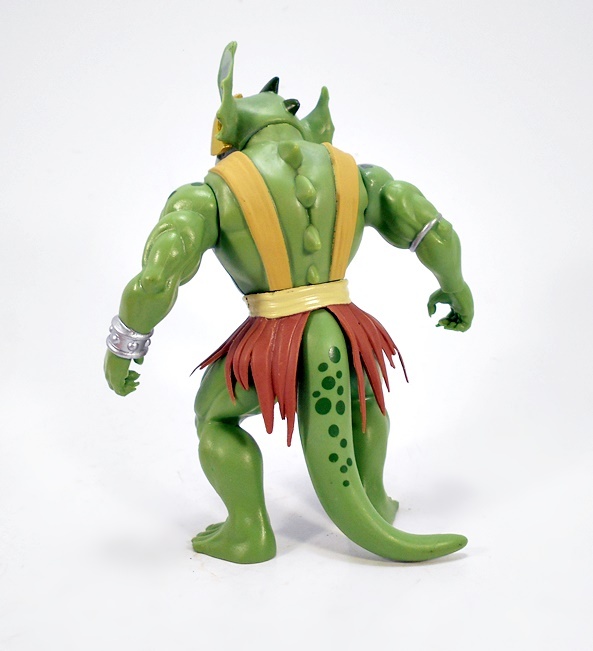 The spikes on his shoulder straps are sharp and solid, and the sculpt even includes his ninja-style footwear and the cords where they are tied on. The only problem I have with this figure is that the Eye of Thundera is printed a bit off-center on his belt. Otherwise, the paint is pretty sharp and the coloring looks great. 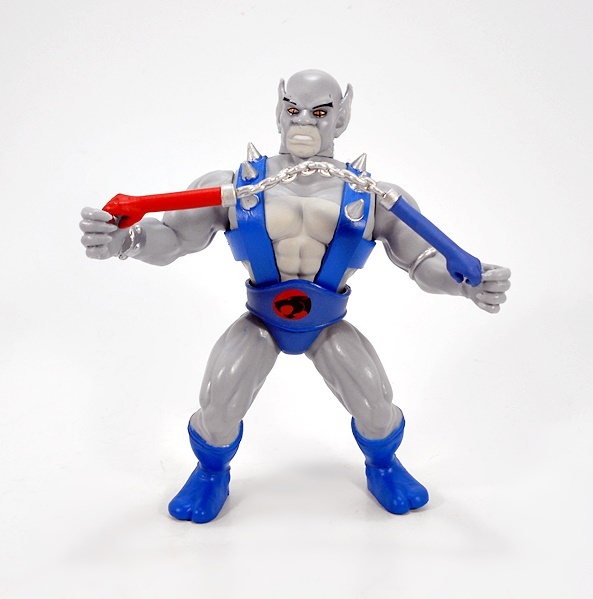 Panthro comes with his nun-chuks, which are painted blue and red with a silver painted flexible “chain” connecting them, and have the adorable little cat claws sculpted into the ends of them. He can hold them in either hand and if you cheat, you can even get him to hold them in both hands at once… sort of. Let’s move on to the baddies! Slithe is the one figure here where the stylized look doesn’t even come into play, and by that I mean this just looks like regular old Slithe to me. They did a great job with the sculpt, from the ragged skirt to the fishy lips and popped eye, he looks great. The coloring here is really evocative of the animation as well and some nice flourishes include the bright silver paint on his wrist bracer and the green spots on his tail. My one little gripe about Slithe is that the way his legs are sculpted can make it tough for him to stand. I feel like they should have sculpted them to be a little wider apart, but after enough fiddling, I was able to get him stable and he hasn’t taken a shelf dive yet. Slithe comes with one accessory and that’s his long handled axe. 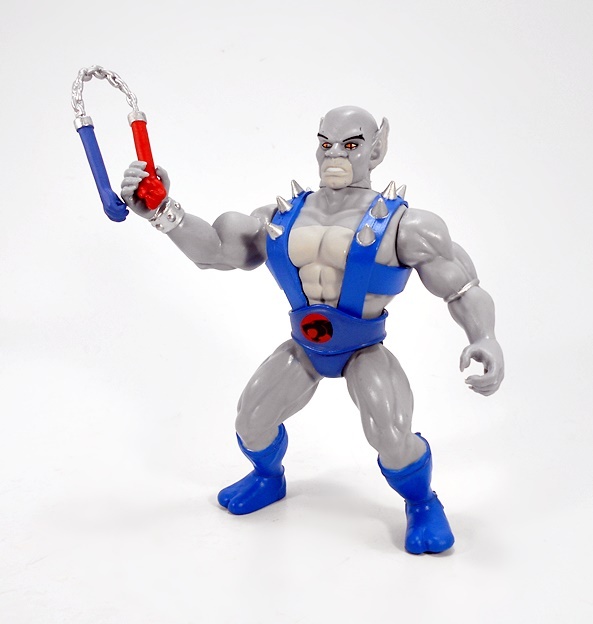 I actually had to go back and look at some pictures to remember what the LJN figure came with, and I suppose this is a pretty decent match for the original accessory. 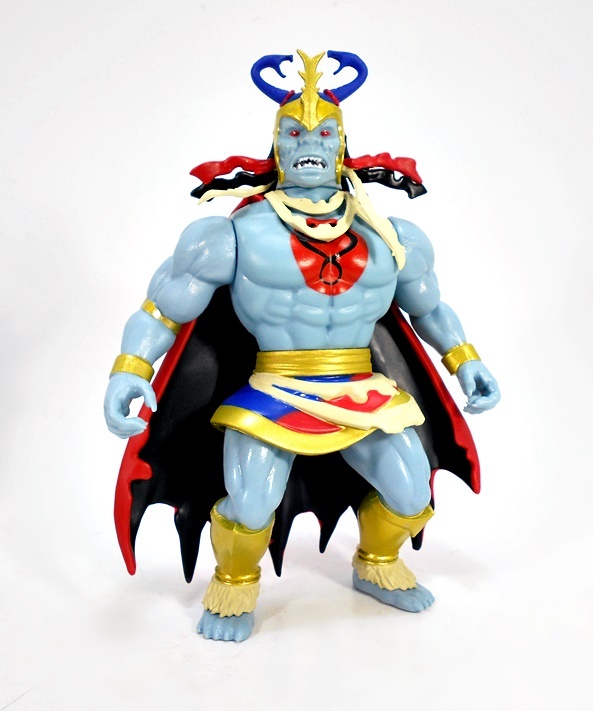 And that brings us to Mumm-RA, The Ever Living! 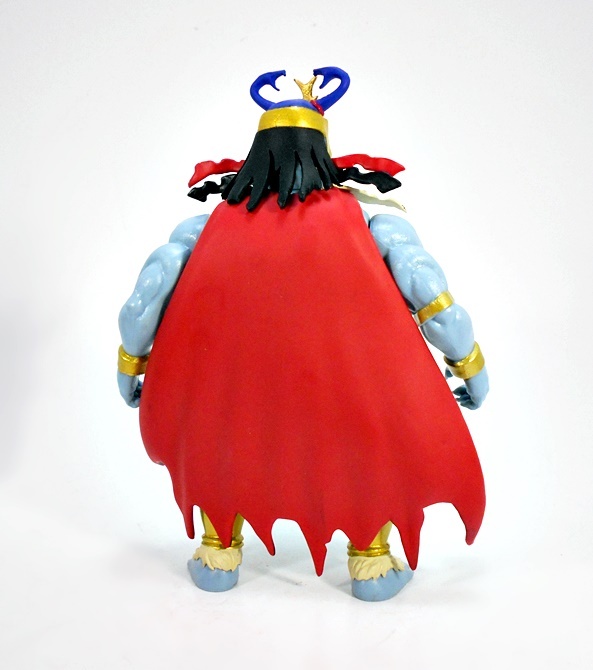 When it comes to sculpt and coloring, Mumm-Ra is easily the most impressive figure in the assortment. He’s also another one that I think works in this scale and style perfectly. Funko really went to town on all the extra bits, like the skirt, cape, torn bandages, and grieves. He also features my favorite head sculpt of the bunch, even though they’re all good, this one just delivers that extra bit of awesome. He’s also beautifully colored with lots of red and gold, and even blue on the twin snakes of his headdress. 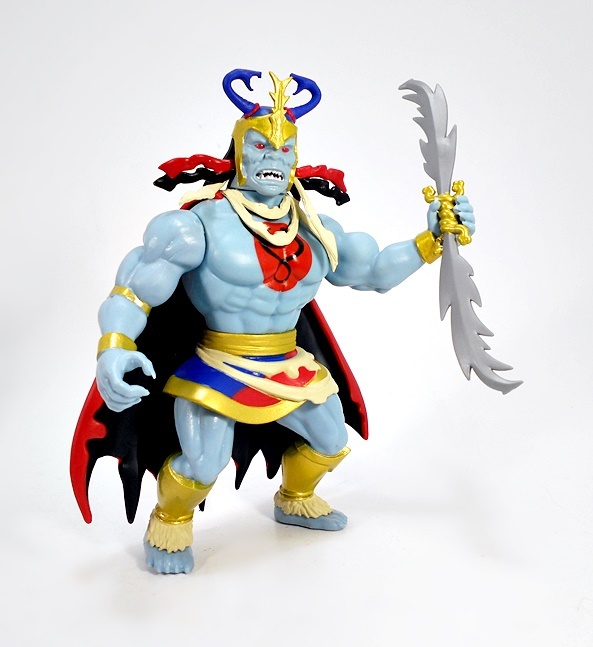 Mumm-Ra comes with one accessory and that’s his double-bladed sword. This thing is a nasty piece of cutlery with jagged edges on each blade and a central golden grip sculpted to look like snakes twisted together. I never really associate this weapon with the character a lot, but it’s still pretty cool. 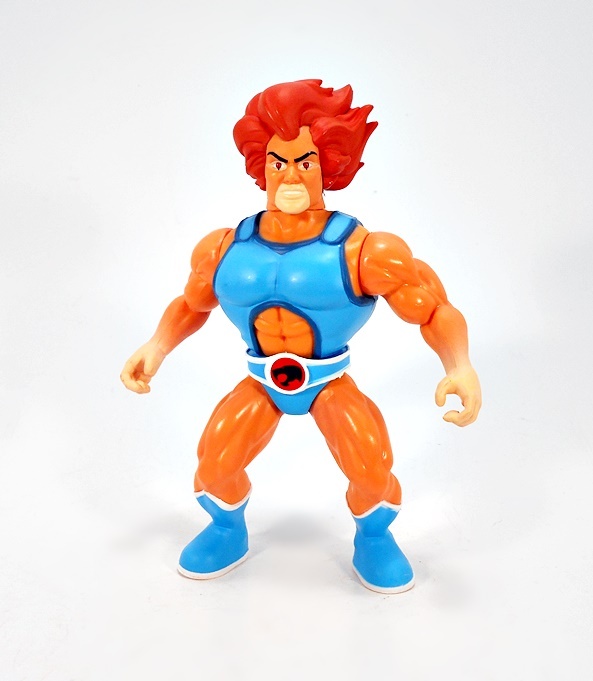 And that’s Wave One of Savage World ThunderCats in the bag! I probably wouldn’t be gushing about these figures as much if Ban Dai or Mattel had managed to make their lines work. 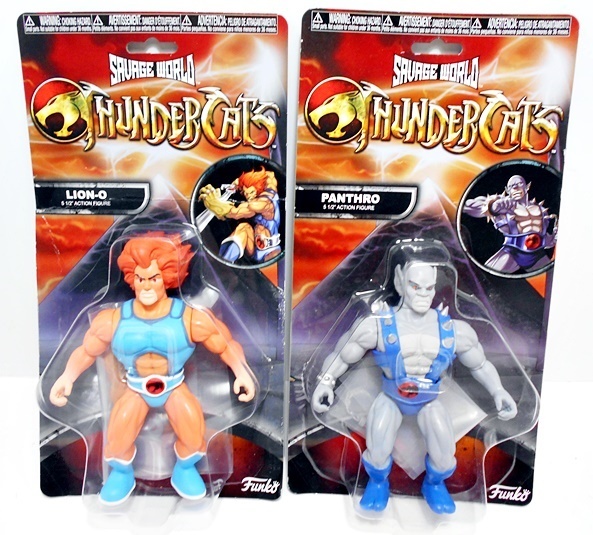 But if this is the format that succeeds in getting us a properly fleshed out ThunderCats line, then I’m all for it. The sculpting here is fantastic, the colors are great, and even the accessories are on point. And who knows? Maybe if these sell well, Funko will get us a Cat’s Lair playset in the same style as the Primal Age Batcave! Either way, all I can say is bring on Wave Two!